Black and red edition of our Cobra Throwing Axe. This quality throwing axe is constructed of one solid piece of AUS-6 stainless steel and features a leather wrapped grip. The axe has been balanced for superb throwing, and includes a rear blade spike. 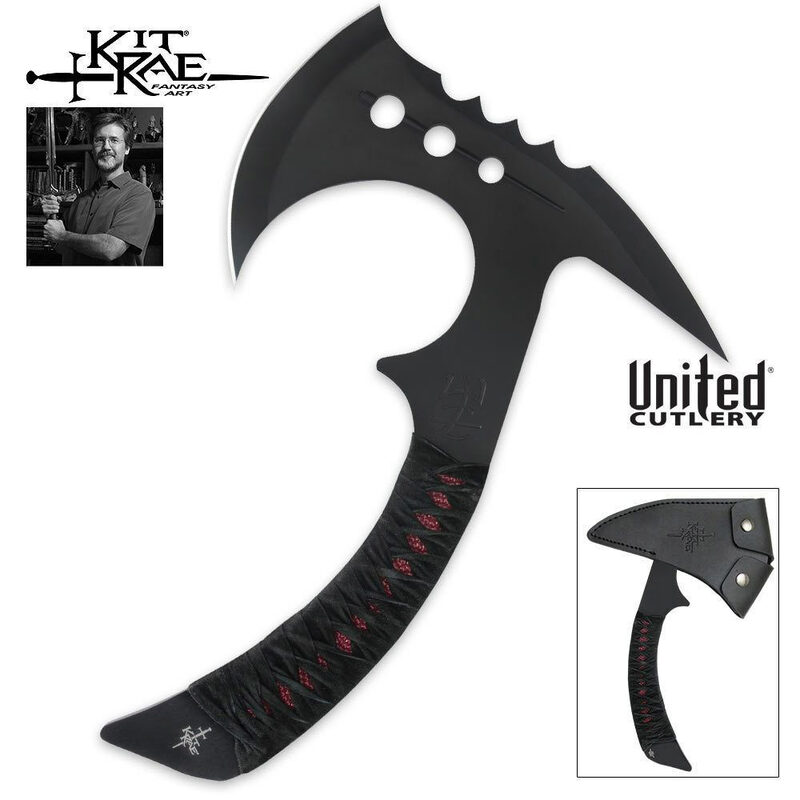 Comes complete with a black sheath and a full-color throwing target designed by Kit Rae. 10 3/4 in. overall.